This report investigates the operation of China's denim production enterprises in 2018 through field visits to major denim production provinces (including Guangdong, Zhejiang, Jiangsu, Shandong, Hebei, etc. ), involving nearly 8,000 denim looms. In the first half of 2018, China's denim industry generally ran smoothly with sufficient orders. After entering the second half of the year, the operation of enterprises was affected by the weakness of downstream apparel market, the increase of production costs, Sino-US trade friction and other factors, to a certain extent. The output decreased, sales slowed down, and profits decreased. According to the survey, in 2018, about 38% of the denim enterprises in China sold in the domestic market, 62% of the denim exports, and the export pressure increased significantly in the second half of the year. 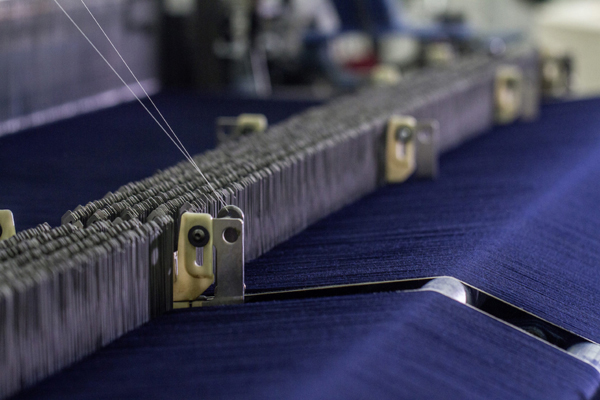 40% of the enterprises surveyed have their own spinning mills, which can provide some yarns for jeans weaving. In fact, most of the denim yarns are acquired through purchasing. The main reason is that the price of yarns is low, which can reduce the production cost, especially some imported yarns, which have strong price advantage. The imported yarn amount takes up about 16% of the total yarn. The proportion of domestic sizing material and imported sizing material is 90% and 10% respectively. All enterprises attach great importance to sizing process. The sizing process of each enterprise is almost specific, but without exception, no size containing PVA is used. In the aspect of dyestuff use, the proportion of domestic dyestuffs and imported dyestuffs used by the enterprises investigated was 90% and 10% respectively (according to dosage). In 2018, the average purchase price of indigo dyes used in enterprises was about 60,000 yuan per ton, with an increase of more than 63% in five years. The production cost of enterprises increased significantly, while the transmission effect of fabric prices was relatively lagging, which led to the decrease of enterprise benefits in the second half of the year. Denim production enterprises with strong profitability are mainly located in Guangdong Province. 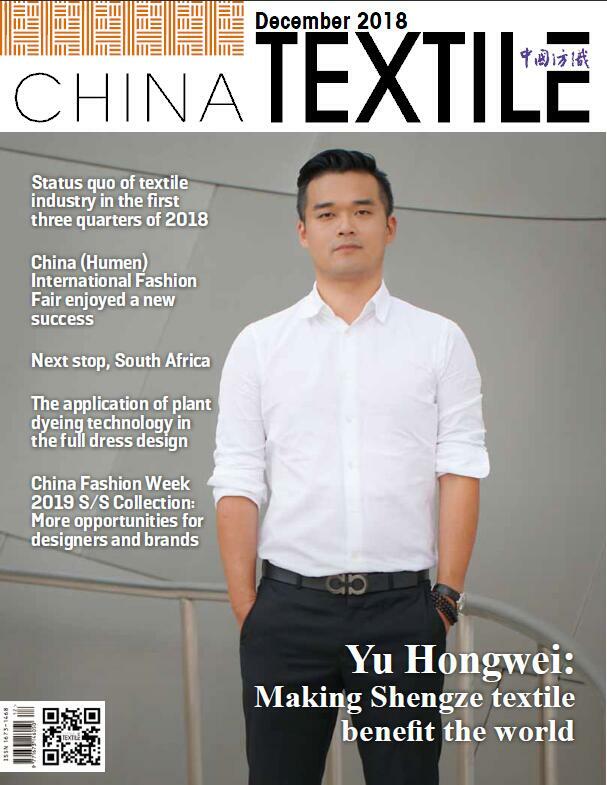 On the one hand, the dyeing and finishing industry in the lower reaches of the region is developed with complete industrial support and low production costs; on the other hand, the terminal apparel market is prosperous and has huge space. According to the survey data, the annual profit margin of high-grade jeans fabrics produced by these enterprises can reach more than 10%; the enterprises have strong R&D capability, leading dyeing and finishing level, and the output value of new products can reach more than 60%; the products have high quality, stable yarn supply sources, and the consumption of new fibers is larger; they pay attention to fine management, energy saving and emission reduction; and the export volume of fabrics is relatively high. Denim enterprises with moderate profitability are distributed in Guangdong, Jiangsu and Shandong, where the upstream and downstream industrial chains are well developed and the products are positioned as medium and high-grade fabrics. From the survey data, this kind of enterprise is greatly affected by the dyed accessories, exchange rate and so on. Enterprises pay attention to R&D, R&D investment accounts for more than 2% of the main business income, and the output value rate of new products is more than 50%. Advanced equipment level, standardized management. Products are in the stage of brand cultivation, relying on stable quality and strong production capacity to reduce production costs, so as to achieve a certain profit margin. From this survey, we can see that the jeans industry in our country still has the problems of high production cost, insufficient market demand at home and abroad, and huge pressure of environmental protection. To this end, the jeans enterprises in our country should try to reduce production costs, expand the market, and take the road of green development with the strength of science and technology.